"How can they find the world's most wanted war criminal when the C.I.A. can't? [by actually looking]"
Three men decide to take down Bosnia's number one war criminal known only as The Fox. Simon Hunt is a journalist who is there as revenge for The Fox killing the woman he loves. When they are mistaken for CIA, there lives become at risk. 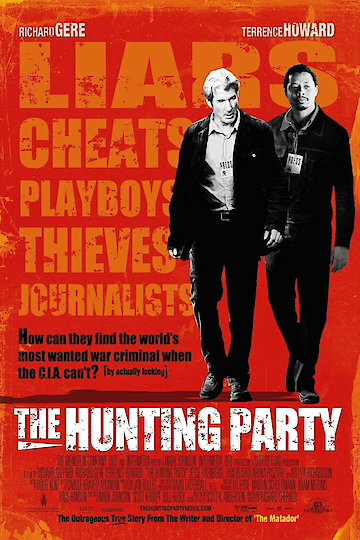 The Hunting Party is currently available to watch and stream, download, buy on demand at Amazon Prime, Starz, Amazon, Google Play, iTunes, YouTube VOD online.